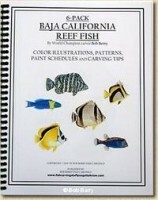 At last, the book you’ve been asking for . . .Designed as the companion book to 6-Pack Baja California Reef Fish, this book has complete instructions for a variety of items that will enhance your Baja reef fish carving.Bob gives instructions for carving, painting, and installing an Encrusted Stony Coral, a White Gorgonian, Sulphur Sponge, Colonial Tunicate, White Sea Urchin, Yellow Spotted Star, and a Fluctuating Turban. 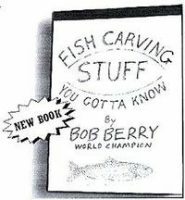 He also tells you how he carves a reefscape base. No more guesswork and uncertainty when it comes to choosing habitat. With just these few pieces, you have lots of combinations to choose from and you can carve with confidence, knowing your habitat is from the right reef! 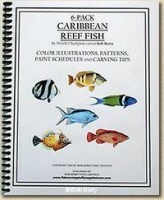 6-Pack includes pattern, color illustration, paint schedule and carving tips for a Bird Wrasse, Reef Triggerfish, Hawaiian Squirrelfish, Bluestripe Butterflyfish, Schooling Bannerfish and a Hawaiian Sergeant. 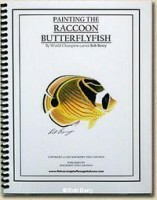 For beginning and intermediate skill levels. 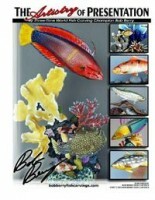 Perfect for adding variety and interest to your reef fish carving. 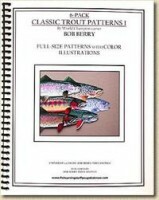 Yet another 6-pack of favorites without repeats from TROUT PATTERNS I or TROUT PATTERNS II. 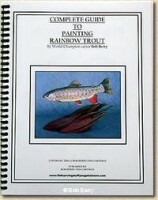 Includes six full size, fold-out “patterns you can trust” of a Apache trout, Colorado River cutthroat trout, two brown trout, and two rainbow trout. 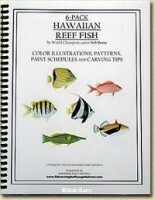 Also includes 2 pages of color reference illustrations. 9 pages. Spiral bound. 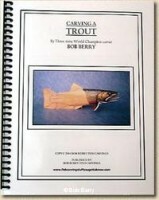 Another 6-pack of carvers’ favorites. 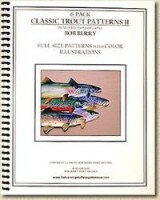 No repeat patterns from TROUT PATTERNS I. 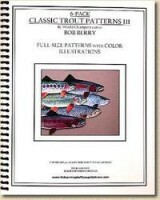 Includes six full size, fold-out “patterns you can trust” of a Snake River cutthroat, brook trout, Gila trout, bull trout, and two brown trout, plus 2 pages of color reference illustrations. 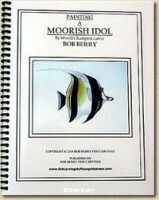 9 pages. Spiral bound. 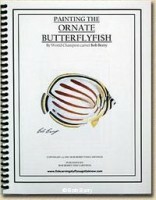 6-Pack includes pattern, paint schedule, color illustration and carving tips for a Banded Butterflyfish, Blue Chromis, Graysby, Bluehead Wrasse, Barred Hamlet and a Whitespotted Filefish. 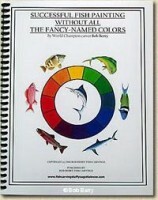 Also included are tips on composition and presentation. 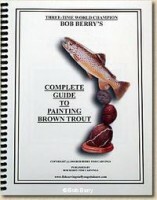 Perfect for beginning and intermediate skilled carvers. 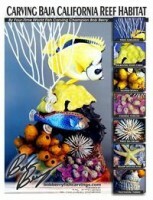 Six fish including a Cortez Rainbow Wrasse, Leather Bass, Scythe Butterflyfish, Barber Fish, Pacific Boxfish and Three-banded Butterflyfish from Baja California that can be used together in a variety of combinations for decorative reef fish carvings. 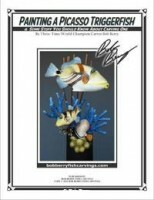 For beginning and intermediate carvers, these brightly colored and interesting fish would be great choices as a secondary species on a larger reef carving.